A new agreement means some students at state colleges and universities will save money on textbooks. 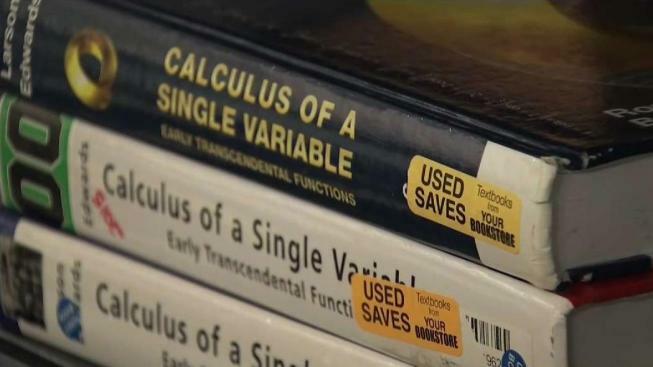 A new agreement between Connecticut State Colleges and Universities and Follett Higher Education Group is going to help college students save more than $4 million in textbook costs. “I think that's something that students get very worried about when they hear textbooks and with these negotiations I think students can get a lot less worried when they hear about the cost of textbooks,” said Andrew Albert, a student at Tunxis. Textbooks can cost students hundreds of dollars they sometimes don’t have, and often are only used for one semester. The new contract between the schools and Follett will help with that by providing savings through a combination of campus bookstore upgrades, price matching, a scholarship fund, rental and buyback programs, and a 10 percent discount on new books. “Books and supplies are necessary tools for academic success,” said Paul Brodie, president of Gateway and Housatonic Community Colleges. CSCU President Mark Ojakian said students told him directly that their academic success would be in jeopardy if the cost of textbooks didn’t come down. “Listen... every dollar that a student saves is important to that student it allows that student to stay in school and complete on time,” Ojakian said. The savings are much needed. According to The College Board, the average college student spends $1,200 a year on textbooks.